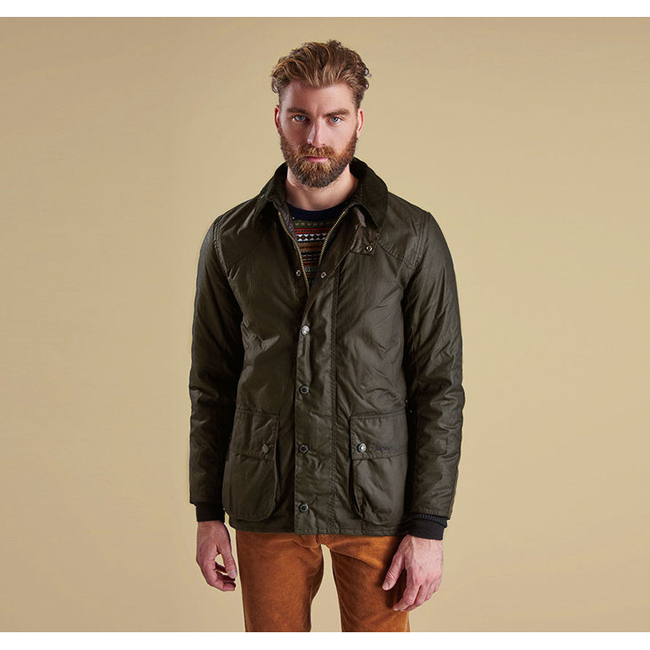 The Digby is a men's wax jacket featuring touches of Barbour's Classic Tartan to the elbows and pocket flaps. This clean, smart jacket is fully prepped for winter with a 6oz Sylkoil waxed cotton outer and a cosy box-quilted lining. The sit-down corduroy collar creates the classic Barbour look and can also be raised and fastened with the stud-close throat tab for extra protection against the elements. Two waist-height handwarmer pockets are a must-have for cold winter days, and two capacious bellows pockets are perfect for keeping essential items close at hand. The tartan wax elbow patches and pocket trims nod subtly to Barbour's rich Scottish heritage.